"George and his Senior Officers" received the Hopewell Valley Arts Council Award. Congratulations! Artists Choice is a group of senior citizens in Hopewell Valley who paint together one day a week. Bob Barrish and Susan Ewart are the facilitators for the group. We have about six regular members. The group decided on an historic theme for Olly. We thought this was a significant representation for Hopewell Valley’s important history. All members brain-stormed about an appropriate theme. 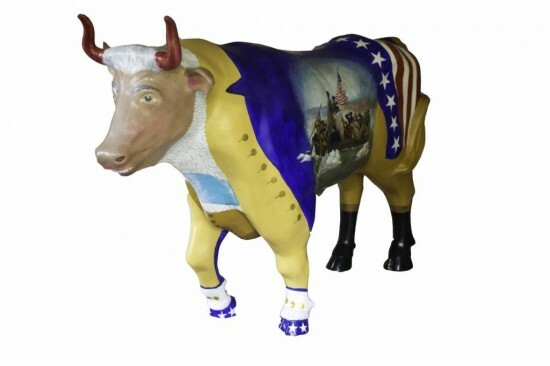 We voted on submitting a designed created by Bob Barrish with the theme of George Washington. The group worked together and adapted the design of “George."